We apologize if the documentation is not yet complete. As the software becomes more mature, we will release a complete documentation. The only documentation available, at this moment, is released together with the code, in HTML format. 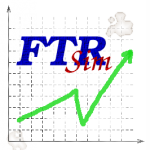 The FTRSim manual is under preparation. It will consist of a User Manual and a Reference Manual.